Replacement Fiat Keys? Lost? stolen? or Locked out? Replacement Fiat Keys? Lost Fiat Keys? Spare Fiat Keys? We can cover it! 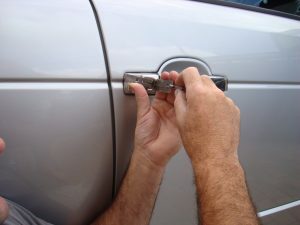 In fact we cover all makes and model of vehicles from Lost Car Keys, situations to a Basic Lock out! We Have several experienced car locksmiths covering the Essex county and have usually got a Local Locksmith near you. An Example of a job that was carried out today was Lost Fiat Keys to a Grande Punto in Dagenham Essex. The couple was getting a little frustrated after they had called 3 different Locksmiths in Dagenham. At that stage no one was able to complete the the job? This is where our very own Dagenham Car Locksmith was able to come Good. Our first job was to Pick and decode the passenger door lock. From there we were able to work out the other cuts on the lock enabling us to cut a key to code for the fiat ignition lock, (This is done with our specialist cut to code cutting machine). Our next step was to write and pair a key to the Fiats Immobiliser system. This is done by taking the data from the system and producing a chip to start the vehicle. This can be a very complex job and should only be taken on by an experienced Fiat Key Specialist! So if you need Replacement Fiat Keys? You Have Lost Fiat Keys? Fiat Car Locksmith? Call us Now on 07708 759815 24 Hour Emergency Locksmith Service. We have Emergency Locksmiths working around the clock, to serve you and offer a full one years warranty on all of our products, giving you peace of mind in some of these unfortunate times. All of our Essex Locksmiths carry an identification tag with our branding on, and are Essex Police and CRB checked so you can be sure of a Local reliable service. Service so can usually be with you within a 20 minute time frame! MOBILE SERVICE CALL 07708 759815 to speak directly to one of our Locksmiths.